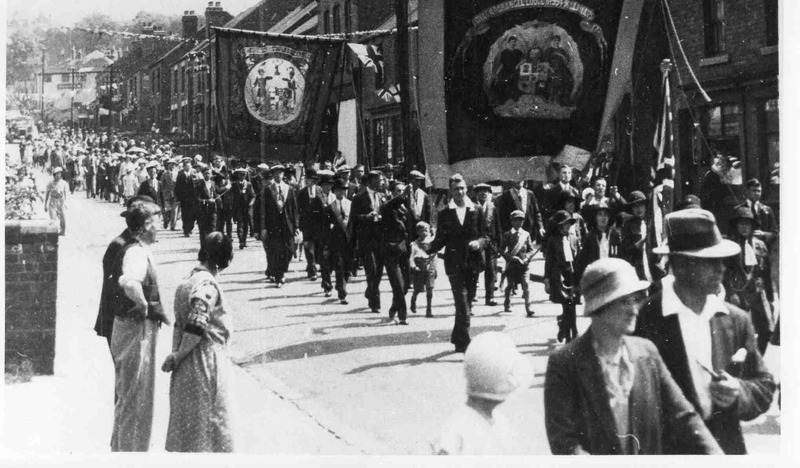 Parade on Bridge Street. Girl Guides and Oddfellows. Photo courtesy of Mr V. Hopkinson.